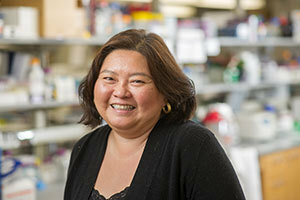 University of Notre Dame researchers have discovered a compound that accelerates diabetic wound healing, which may open the door to new treatment strategies. Non-healing chronic wounds are a major complication of diabetes, which result in more than 70,000 lower-limb amputations in the United States alone each year. The reasons why diabetic wounds are resistant to healing are not fully understood, and there are limited therapeutic agents that could accelerate or facilitate their repair.